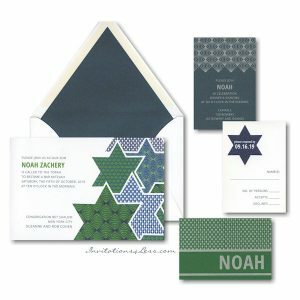 This stylish Bar Mitzvah invitation on single Bright White card stock features several Stars of David in random geometric patterns to the right of your wording details. 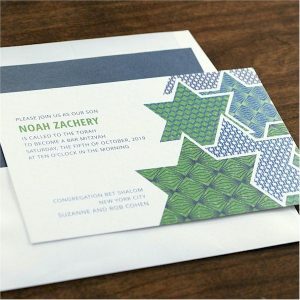 This stylish Bar Mitzvah invitation on single Bright White card stock features several Stars of David in random geometric patterns to the right of your wording details. Measures 7-3/4″ wide by 5-1/4″ high. Shown with digital (flat) Kelly Green and Navy inks with combination lettering styles FONRQXH (body copy) and FONMRGX (name). The coordinating Reception enclosure will print on single Lapis Blue card stock and Bright White stock will be used for the Response enclosure. Grass-green folder stock will be used for the Thank You Notes. 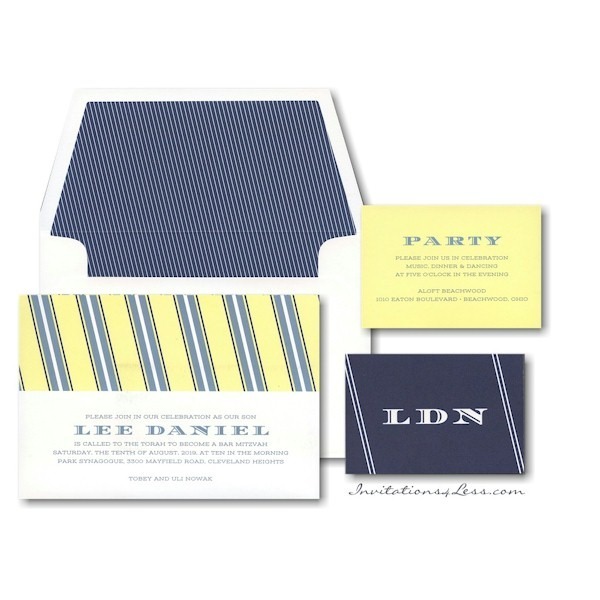 This Bar Mitzvah invitation is accompanied by plain, single Bright White Swiss Flap envelopes. Envelopes can be lined for an additional charge of $60 per 25. Select the Envelope Lining, if desired. 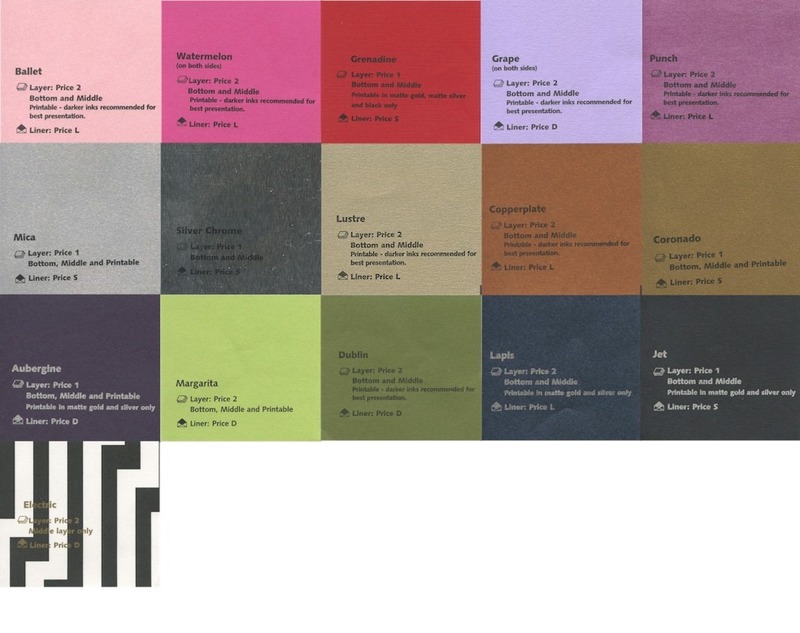 Notes: Click on Envelope Lining for color swatches. 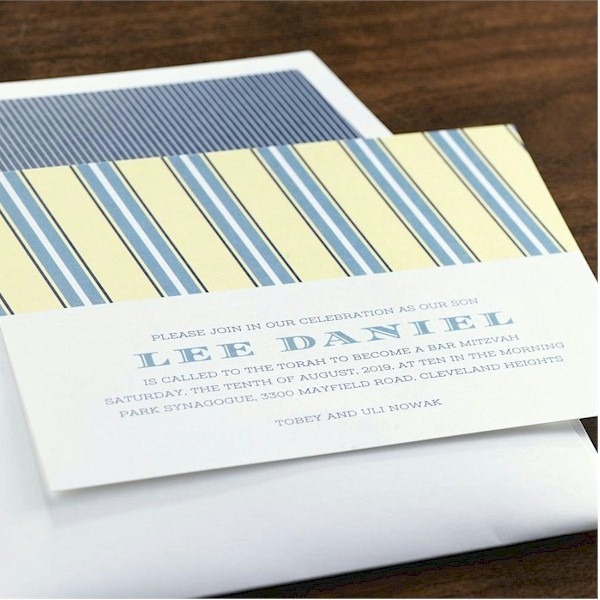 Lining colors in the drop-down menu marked * are our staff's favorite choices for this invitation. 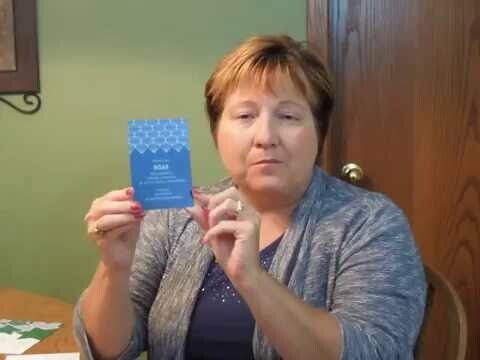 If invitation includes double envelopes, the inner envelope will be lined. Your total quantity of (inner or single) envelopes will be lined, including extra envelopes, if ordered.